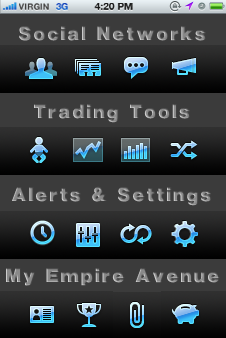 The first iPhone and iPad app for Empire Avenue. 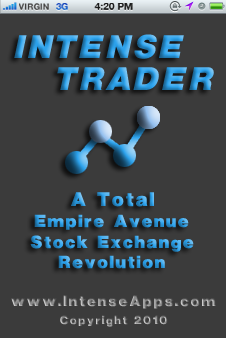 Use your influence to launch a "Total Empire Avenue Stock Exchange Revolution"®. 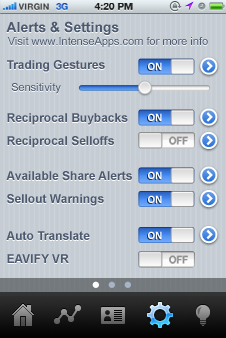 Intense Trader from Intense Apps gives you the cutting-edge trading tools you need to rise to the top of the Empire Avenue Leaderboards. 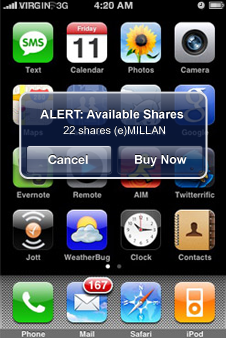 Analyze, trade and grow your portfolio -- on-the-go, anytime, anywhere!